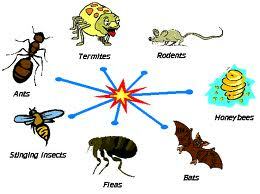 The Best Ways to Stop Pests is With a Pest Control Company - Yes Pest Pros, Inc. The Best Ways to Stop Pests is With a Pest Control Company - Yes Pest Pros, Inc. The Midwest is home to a large variety of pests, and Indiana is no exception. Throughout the Bloomington area, for example, you may see a lot of mosquitoes, and in Granger, you may deal with ticks and moles. You can blame the mild climate for the large pest variety. The frequent rains in the spring can attract mosquitoes and the fertile lawns filled with insects can attract moles. What is a great place to live for people is, unfortunately, is also a great place for pests to live as well. Whatever the pest problem, it is important to contact a Granger pest control company or Bloomington pest control company, whatever is near your area, when you feel the problem is too big for you to handle on your own. In fact, probably the best and most cost-effective solution is to contact an exterminator as soon as you discover an issue because they will be able to stop the problem from becoming more severe and costing you more money in the long run. to what is found in your yard. Many pests also show up in the home, especially in the winter when the Indiana cold is too much for them to handle. Often ants can become a real problem indoors, especially when you leave food out in the kitchen that can attract them. Bed bugs can enter your home via used furniture you pick up at a resale shop or on the luggage of a houseguest. And while sometimes there is nothing you can do to prevent a few insects from invading your home, but you can still be vigilant to try to do what you can to keep them out. Another common pest in Indiana is termites, and they are one of the primary reasons that Indiana residents contact both residential and commercial pest control companies. Termites can be so invasive and can quickly damage property by eating through the wood framing of a home or business. For that reason, anyone who suspects they have termites needs to contact an exterminator that can deal with termite pest control quickly and efficiently. What starts as a minor problem can really balloon into a catastrophic problem before too long. While no one is happy to discover that they have a pest problem in their home or business, one good thing about living in Indiana is that there are plenty of Bloomington pest control companies, so it shouldn’t be difficult to get the problem taken care of quickly. Just keep in mind when choosing an exterminator that there are some companies that take more care to be environmentally friendly and limit their use of harmful chemicals. It is a good idea for as many Indiana residents to use these types of exterminators so that the beauty of Indiana can be better preserved for all of us.